The Research Triangle Park (RTP) area of North Carolina is known for its, well, research, and lately, for its startup efforts. There are so many entrepreneurial things going on in Raleigh, listing them all could make your head spin. Obviously, this is a good thing. It’s good for the Raleigh Durham, area and it’s good for the economy. Things like the American Underground, HQ, Triangle Startup Factory, and many more entrepreneurial efforts are making sure that entrepreneurs exiting out of some of the finest institutions in the south east (Duke, UNC, NC State) have access to continued resources and support. Well now, HQ Raleigh co-founder Jason Widen and Chris Gergen, and entrepreneurial veteran in Durham, have teamed up for a natural next step, a living and learning accelerator. 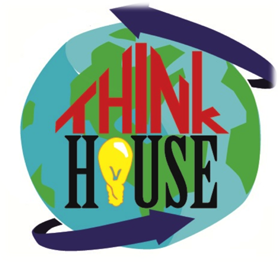 In what is being dubbed the “ThinkHouse,” entrepreneurs are going to live and develop their ideas in one place. Many studies have shown that when you work and live in the same place, it can be a lot more productive. 4am brainstorming sessions don’t involve waiting for someone to come to the office, and at the same token, a 9am rock climbing, clear-your-head expedition can be easily arranged. While living and working in the same place may seem harmful and means more work focus, it’s actually the opposite. With all that in mind the Triangle Business Journal reports that ThinkHouse will house a group of “entrepreneurs in residence” who will take a 9 month residency in the house. The entrepreneurs will be selected by a panel, like any other accelerator, and then they’ll be able to collaborate with each other, mentors, and a peer advisory board. The group plans to open up 50 think houses in 50 cities within 5 years. You can find out more here.